We are offering our customer a wide range of Lab Equipment, which are manufactured from high grade quality raw materials. Scientific Instruments Manufacturers Laboratory Equipments Suppliers - Science Instruments, Scientific Equipments, Laboratory Equipments Suppliers, School Science Labs Teaching Instruments Exporters from India. Physics, Biology & Chemistry Lab Instruments. Electrionic Lab Trainers, Engineering Training Systems & Kits. We are offering wide range of Rheodyne Injector. - Platform size 13" x 13" can take cavity slides. Patch test allergens are used to confirm the provisional diagnosis of allergic contact dermatitis and to identify offending allergens. The classic patch test is consists of applying the allergens to a piece of cloth that is placed on the back, covered with an impermeable material affixed with tape and removed after 48 hours. We are engaged in offering Platinum Tongs to our clients. 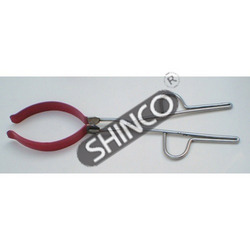 These Platinum Tongs are made by high grade of raw material. 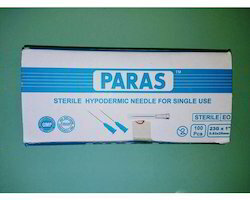 These are used in laboratory. These products are extensive usage in many areas such as science labs in schools & colleges, research institutes, pharmaceutical and other industries. Round bottom, glazed inside and outside, translucent.